Tart, sweet and smokey are my favorite combination of flavors. 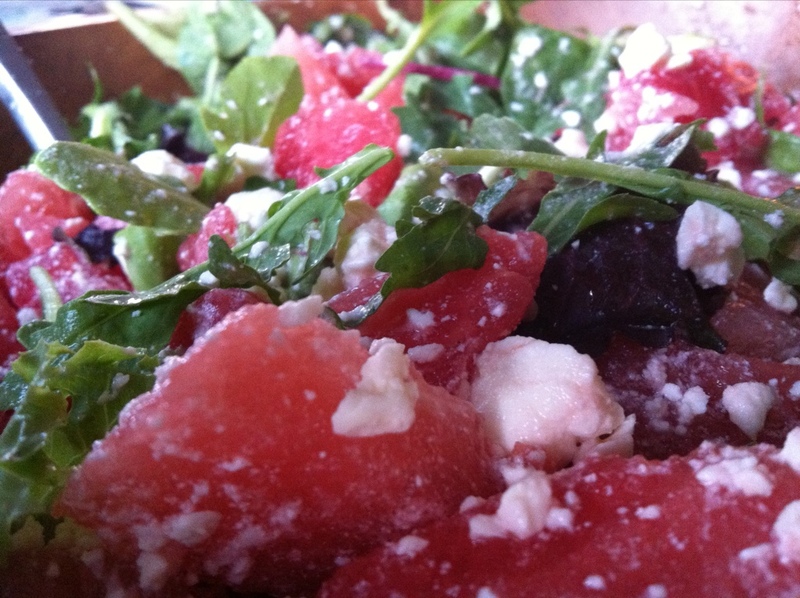 My go to salad for the beginning of 2013. Diced cubes of butternut squash, tossed in olive oil, salt and fresh ground pepper. Roasted on 400* until caramelized. Fresh pomegranate seeds, so good right now. Pepita or pecans, pan toasted with salt and smoked chili flakes. Goat Cheese. Toss with arugula and some spring mix if you like. You almost don’t need a dressing, but a simple vinaigrette works well. I’m a big fan of the lite breakfast and lunch, so you can splurge a little for dinner, program. When eating alone, I often opt for something vegetarian. 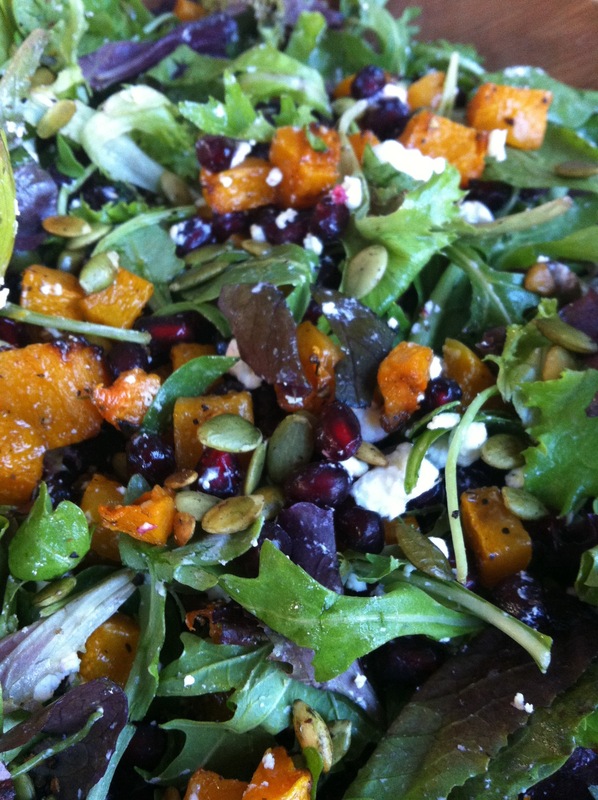 Around this time a year I’m sick of salads and I return to my old fav, The Red Garnet Yam. So totally satisfying, I end up doing this several days a week for a few months. 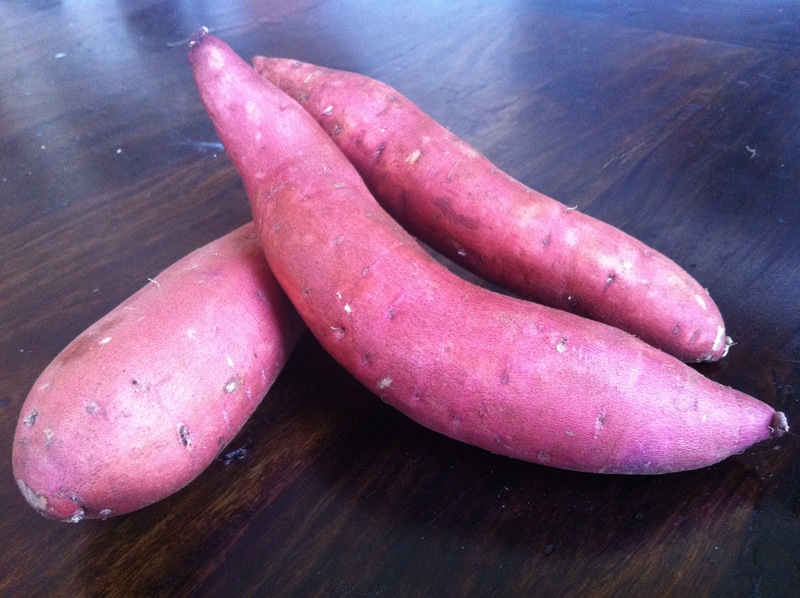 The red garnet yam is the long skinny, thin skinned cousin of the sweet potato, and many other assorted varieties, I like it the best for eating whole. Because of its long skinny shape, it cooks quickly and evenly in the oven or microwave. The peel is very tender and tasty and that is where so much of the nutrients are. 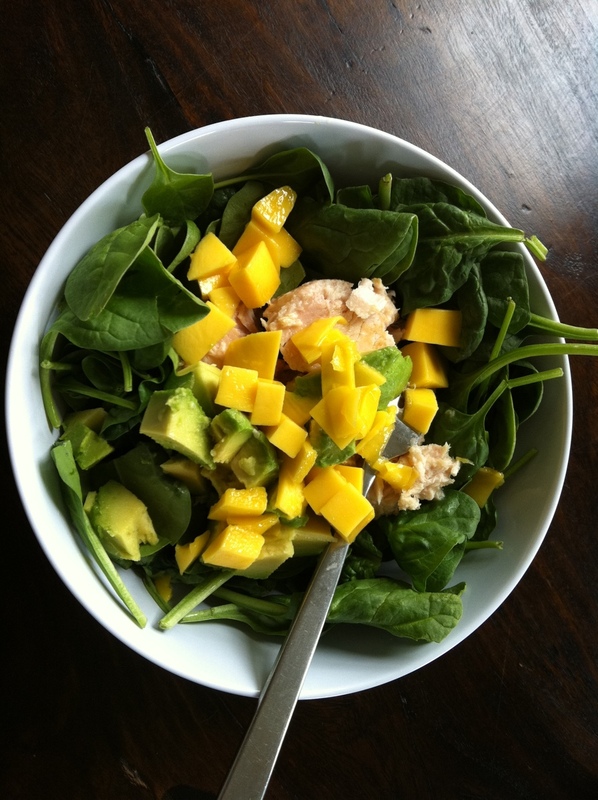 A great lunch to bring to work too. When I was in the office world I would leave a jar of salsa and a tub of hummus in the work frig for my almost daily yam. Wash with a vegetable scrubber, wrap in a paper towel and then parchment paper and it’s ready to travel. Wet the paper towel, wrap back in parchment and microwave for 4-5 minutes when ready to eat. Split it down the middle and top with your favorite toppings- handful of greens, Greek yogurt and roasted red peppers, endless possibilities. My strange favorite is Green Mountain roasted garlic salsa and some hummus. For a regular or toaster oven, wrap in parchment paper and then aluminum foil and about an hour at 425*. The avocados and mangos are so cheap right now ! Which also means they are peaking, and flippin’ delicious! Threw some over baby spinach and albacore tuna. Yum!